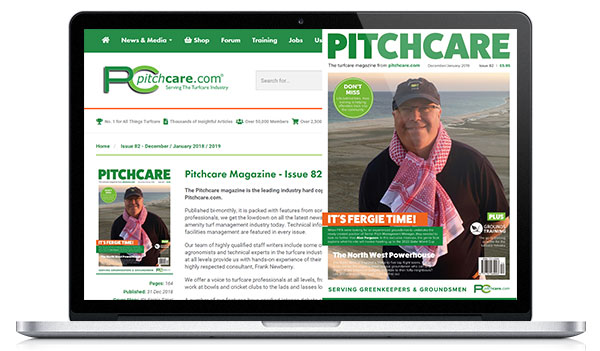 Nigel Church, Product Trainer with Cutting Edge Training, an operating division of Ransomes Jacobsen, looks at common platforms and the benefits of this practice for both manufacturer and end user. 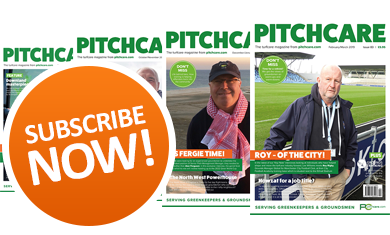 For the purposes of this article, Ransomes Jacobsen products are discussed but, clearly, most major manufacturers follow this methodology. For many years now, different manufacturers have been producing road vehicles and tractors using common platforms. For the higher volume production models, this approach offers huge advantages of streamlined production plants and supply chains whilst still offering the customer a wide range of models and specifications. 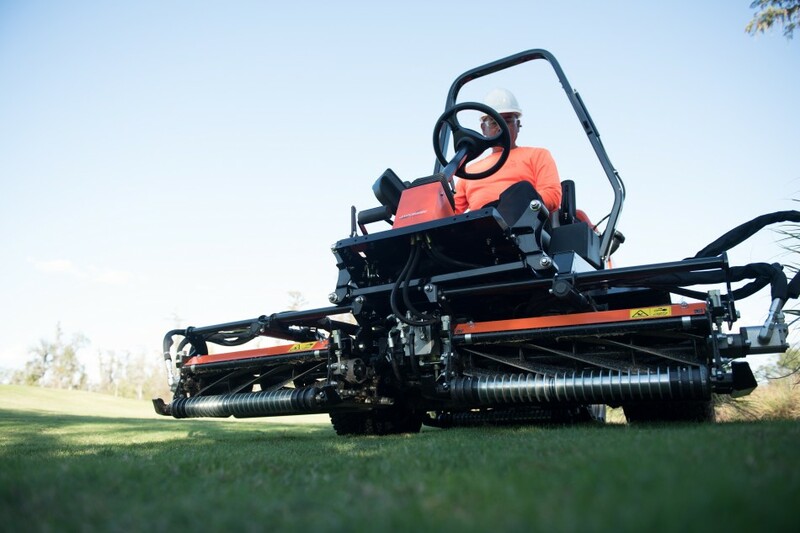 This manufacturing trend has, over the last few years, reached the turf machinery sector. So, what is a "common platform"? Well, from a manufacturing perspective, a product line becomes a "common platform" when it can get half way through the assembly process, before the final specification is fixed. For example, on a production line with ten build stations, the assembly should get to build station five, or even further, before the final specification is determined. An alternative approach is to look at the use of common components across a range of different products, where they are different, but share the same DNA. This way, production systems can be streamlined, and core volumes increased, whilst still giving all the flexibility a small, modern plant needs to be efficient. We are not in a big volume market, so running common platforms instead of numerous different machines can only be a good thing. A good example is our MP series, which replaced two very different machines, the venerable Commander and the equally revered HR6010. These high output machines used completely different chassis, transmissions and engines, with no common parts between them. The MP series was introduced to replace the two ageing machines, and to streamline the production process, so a common platform project was the only way to proceed. The two layouts, a five-unit cylinder mower and a three-deck wide area rotary mower used different wheel spacings and chassis designs but, by using clever innovation, the two layouts now share a common chassis without compromising on the individual machine's handling or performance. For the first time, there are also engine power options for each machine and two levels of control systems, allowing the customer to choose the right solution. The common platform design also uses the same operator platform and cab. This is good news for fleet operators, as the trained operators find it easy to switch from one unit to another as the control systems and layout are very similar. 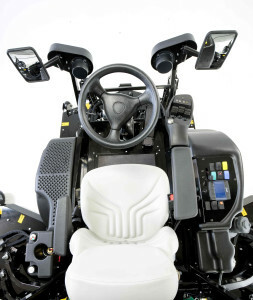 From the factory's perspective, it's easier to build, whilst the use of common items, like the cab, reduces the number of components and the number of parts needed to support these machines throughout their working lives. When the use of new materials also brings a 250kg weight saving as well, then everyone is a winner, thanks to the common platform design process. So, forty-eight versions of the same common platform machine. Another machine, featuring Müthing flails, further highlights the flexibility of the common platform. Available in both brands, and with cab options, this pushes the range to fifty-two different options! But, the most impressive statistic is 92% commonality to the other 65hp rotary models. This high level of commonality means that the development experience from the previous variants can be built on and manufacturers can bring products to market much faster and react more quickly to changing customer needs. 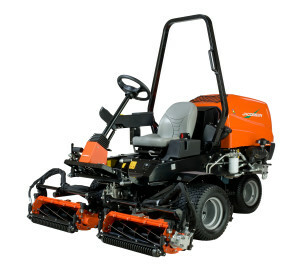 The high output cylinder mowers, with two sizes of cutting units (Magna or Sportcutter), factory fitted cabs and dual branding adds another six versions to the MP family. That's a total of fifty-eight versions of the same machine, giving end users a wide range of options, but with a high degree of commonality. For the service and maintenance staff, there are now fewer systems to learn, understand and work on. A wider range of machinery can be covered on training courses, reducing the time and cost of training technicians. From a parts support point of view, reducing the number of parts within the system is a huge benefit, both in cost and storage terms, but also when it comes to carrying the right stock to support the product in the field. Our most recent common platform project has replaced the AR-3, TR-3 and Tri-King tees and surrounds mowers and the SLF1880 fairway mower. 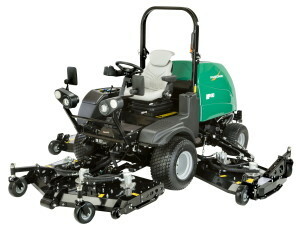 This common platform unit is available in 3-wheel and 4-wheel configurations, giving it the manoeuvrability to work as a tees and surrounds mower whilst, as a 4WD machine, it replaces the old lightweight fairway mowers and fills the gap in the market under some of the larger models. Add the ability to side shift on some models, and you have a new "common platform" machine offering up to eleven different versions from the same platform, including a three-deck rotary with three-wheel drive for tees, surrounds and approaches, and a side shift rotary for access to those harder to reach areas. Tees and surrounds triple cylinder mowers now include three-wheel drive with three different unit options, and all with side shift option. There is also an additional triple with 26" heads for light commercial or high end private gardens. The smart bits are in the concept and design solutions which were necessary to make all this work. 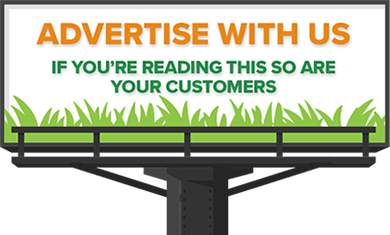 Many people realise that a triple rotary mower needs to have a longer wheel base, given the depth of a rotary deck compared to a cylinder unit. So, to avoid ruining the cylinder version (with a longer chassis), the front axle is built with off-set brackets (by 100mm). By fitting the axle either way, the wheelbase can be reduced, or extended by 100mm, giving the additional 200mm wheelbase required to fit the rotary decks to the same machine and chassis using only common parts. Smart stuff indeed! 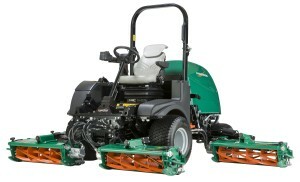 The fairway mower has five 18" units, in either three-wheel, or four-wheel configurations on the same common platform. That is; one engine, one operator's platform, one chassis, one transmission system and one front axle across all eleven models. So, a common platform concept offers the customer a wider range of product and alternatives than would be possible if individually designing each machine. The commonality of engines, drivetrains and hydraulic systems means that dealer staff have less variations to deal with, making servicing and support easier. For the manufacturers, the benefits of having less variation within production, and being able to build common assemblies which only take the final layout in the later stages of production, gives the flexibility to build what the dealer/end users wants and orders, instead of carrying stock of vastly differing machines. This really is a win-win concept, and we can expect to see more common platform machines, and even wider variety in the future.